In preparation for the 2016 wildfire season, Gov. Jay Inslee on Friday directed the Washington National Guard to train and certify up to 250 guard personnel. In a letter to Maj. Gen. Bret Daugherty, Inslee directed the guard to coordinate with the state Department of Natural Resources to ensure enough personnel are properly trained to maintain 10 crews of 200 personnel. The training will allow the guard to assist on the fire lines for state, federal and local wildfire response efforts. 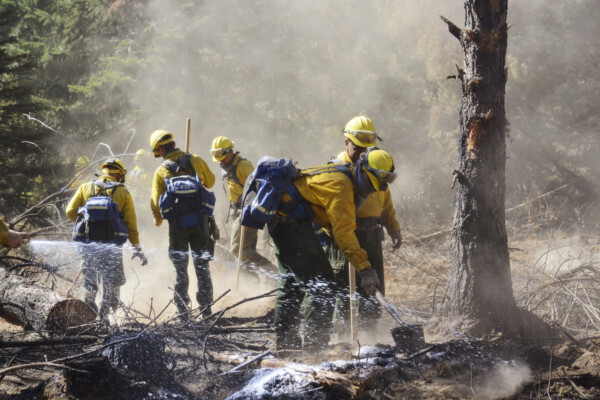 Guard personnel who completed similar training last year joined the teams that fought the Kettle Complex fires in Eastern Washington, the first and only time such integration has happened. This teamwork is credited for boosting the efficiency of the wildfire response and lowering the number of injuries. Washington has experienced historic wildfire seasons the past two years. Due to the increasing severity of Washington’s wildfire seasons, Inslee and Commissioner of Public Lands Peter Goldmark last year convened a Wildland Fire Council to assess plans, policies and resources related to wildfire preparedness, resiliency, response and recovery. The council will complete a preliminary report with recommendations for the governor by July 1, 2016.